Enhancing quality is building a strong, consistent brand. Officially established in 2006, over 10 years of continuous effort and innovation, Toan Phat Copper Tube Company has transformed itself from a local copper facility to a full-fledged leading copper tube manufacturer in Vietnam. With the orientation of continous enhancing product quality and customer services, Toan Phat and our global brand - Ruby Copper - have won the heart of clients and have proven to be a reliable partner for international businesses. Ruby Copper reputation is built on quality, commitment and accomplishment to our clients. Our products, including Pancake Coil, Straight Tube, Level Wound Coil and Insulated Copper Tube, are manufactured by advanced production lines, supervised by strict testing processes. With the orientation of sustainable development, we learn and invest in advanced machineries for further enhancing product quality that meet international standards and customers’ requirements. Since 2009, Ruby Copper have achieved a large number of certificates: Quacert JIS H3300:2006 (Japan), ASTM B68, ASTM B280 (USA), AZ/NZS 1571 (Australia). 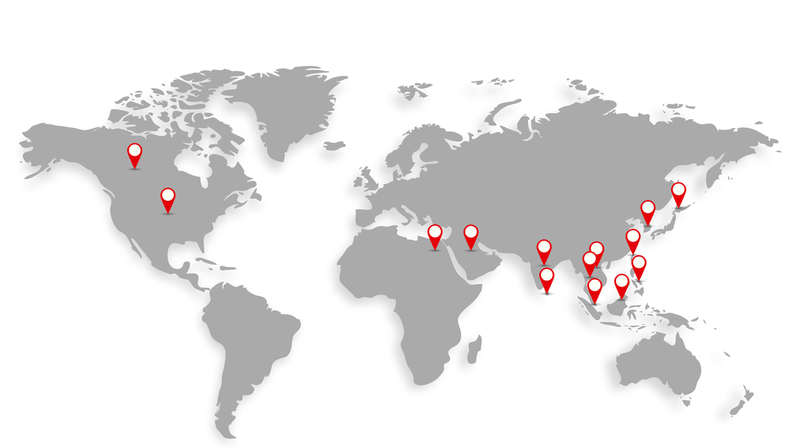 Along with enchancing product quality, Ruby Copper expand to global markets with over 20 countries exported, including demanding market such as United States, India, Korea and Australia. With first-class copper materials, advanced production equipments and skillful engineers, Ruby Copper commit to provide excellent quality, fast delivery and professional customer service. We endeavour to meet beyond the expectations of our clients through honesty, professionalism with the willing to build a sustainable relationship with our partners and customers.